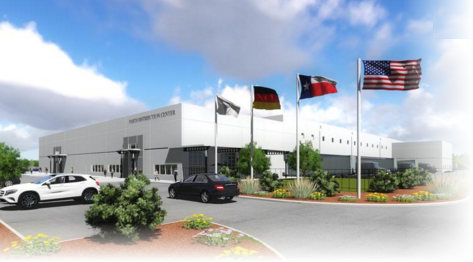 ​​​GRAPEVINE - A 31-acre site along Lakeside Parkway, will be the new home of Mercedes-Benz, USA's planned regional Parts Distribution Center (PDC) and Learning & Performance Center (LPC). The PDC— one of six the company maintains in the U.S.— will cover 254,000 sf and support the sales and distribution of spare parts to the auto company's dealer network. The two facilities—purchased by the City of Grapevine for $29.5 million—along Lakeside Parkway at Enterprise Rd. Target completion and occupancy date is slated for January 2017, with full operations commencing March 1, 2017.